ESSEX — The Ivoryton Village Farmers Market is turning seven! 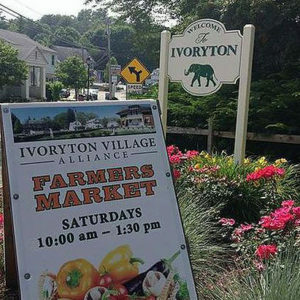 Each Saturday starting at 10 a.m., the Ivoryton Green will be bustling with vendors showcasing Connecticut-grown products and prepared foods, creations from local artisans and crafters, and live music every week. Each week. June 17 thru Sept 30, seasonal produce, meats, fish, cheeses, milk, ice cream, garlic, maple syrup, honey, coffee, flowers, shrubs, jams and jellies, bakery items and more will be available. Between 10 a.m. and 1:30 p.m., families are invited to visit Ivoryton, shop the market and enjoy live music playing each week in the Gazebo. New this year is our once a month, Lawnapalloza, free fun games for the whole family. 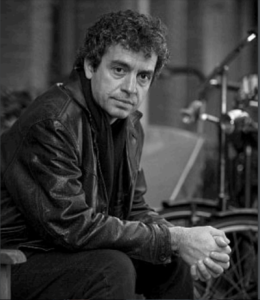 Opera writer and lecturer James Kuslan will give a free lecture at Acton Library, Sept. 30. 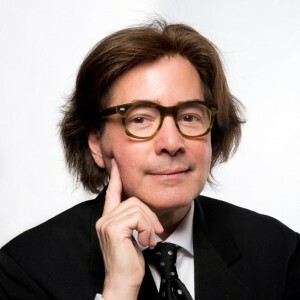 OLD SAYBROOK — Opera devotee and popular dynamic lecturer on operatic topics, James Kuslan, will present an informative program on Mozart’s “Don Giovanni” on Saturday, Sept. 30 at the Acton Public Library, 60 Old Boston Post Road, Old Saybrook, CT., 11 a.m. This event is free, and sponsored by the Guild of Salt Marsh Opera. Kuslan will recap the plot of the opera and provide sound clips to highlight the music. Kuslan is a graduate of Yale University’s School of Drama and has been a voice scout in the United States for the German classical recording giant, Deutsche Grammophon. 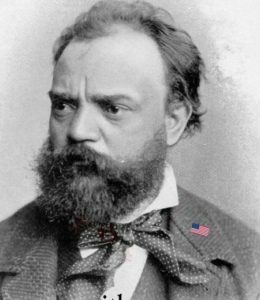 He contributed the essays that accompany the DVD releases of the Metropolitan Opera’s productions of Lucia di Lammermoor and Don Pasquale, both starring Anna Netrebko. Salt Marsh Opera will present Mozart’s “Don Giovanni” on Friday and Sunday, Oct. 13 and 15, at the Katharine Hepburn Cultural Arts Center, 300 Main St. Old Saybrook. ESSEX – With an emphasis on physical, social and emotional well-being, Essex Meadows has announced the completion of upgrades and renovations to its Fitness Center, as well as an expanded and remodeled Pub for more casual dining. These projects, which totaled more than $350,000, offer residents further opportunities for socialization, fitness and friendship. The majority of these capital improvements were made in the Pub, and major additions and advancements to the state-of-the-arts fitness equipment and their environs. New equipment includes NuStep® cross-trainers, which are designed specifically with older adults in mind, along with other compatible and complimentary senior-focused physical fitness apparatus. David Reynolds, Director of Food and Beverage at Essex Meadows, says a similar line of thinking went into expanding and improving the casual dining venue. “The resident population is constantly changing, and our newer residents are looking for a more relaxed lifestyle. Many prefer a less staid approach to their dining experience, and want more excitement in the food and drink offerings. We have taken underutilized space and incorporated it into our existing relaxed-dining zone. At the same time, we recreated the menu in the Pub to provide expanded selections with an emphasis on creativity and bold flavors.” he said. To bolster this renaissance, David has added a modest, yet wide-ranging wine list along with fresh and locally brewed beers on-tap. The success of this expansion is witnessed by the capacity seating at most lunches. 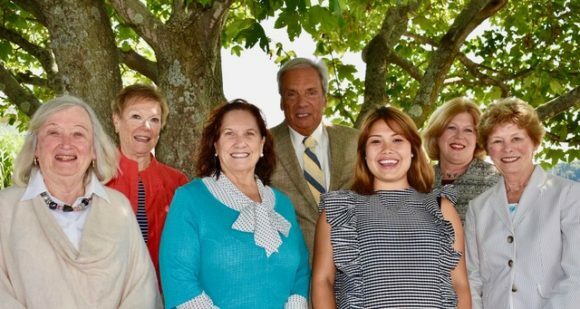 Editor’s Note: Since 1988, Essex Meadows has provided a lifestyle of dignity, freedom, independence and security to older adults from Connecticut and beyond. A community offering full lifecare, Essex Meadows, located conveniently near the Connecticut River, prides itself on having a financially responsible and caring atmosphere. Essex Meadows is managed by Life Care Services®, a leading provider in lifecare, retirement living. For more information on Essex Meadows, visit the community’s website or call 860-767-7201. When a world is collapsing all about us, how much are we willing to recognize? J. G. Farrell’s description of a veteran of the World War I trenches going to Ireland to rejoin a young lady he had met only once in London during the War is an allegory on human inertia and lethargy in the face of rapid change. In 1919, Major Brendan Archer travels from London to Kilnalough, Ireland, thinking to ask Angela Spencer to join him in marriage, even though he could not remember ever asking her outright to do so. He finds an elusive young lady and a scene of inertia and decay. Ireland has entered the “Troubles” with Sinn Fein pushing for complete separation from the British Empire. And that Empire is collapsing just as the Majestic Hotel, owned and operated by Angela’s father, Edward, the scene of the entire novel, is doing the same. Farrell gives us the Hotel dominated by “dust.” Every page describes dust, “mould”, gloom, creepers, grime, cobwebs, collapsing floors, “man-eating” plants, and an ever-expanding entourage of reproducing cats. One room featured “an enormous greyish-white sweater that lay in one corner like a dead sheep.” The weather wasn’t any better: “it rained all that July,” and the hotel residents complained of the coming “dreadful gauntlet of December, January, February.” Both the hotel and Ireland exuded “an atmosphere of change, insecurity and decay.” But the residents continued to follow life’s rituals: prayers at breakfast, afternoon teas, dressing for dinner, and whist in the evening. Add to this mordant scene the author’s interjection of gloomy news reports from around the world: White Russians and English military supporters being trounced in Russia, victorious Boers in South Africa, a mess in Mesopotamia and Egypt, rebellion in Poland, and, finally, the Indians attempting to remove themselves from British rule. In the face of all this, the hotel’s owner and operator, Edward Spencer aggravates the Major: “ … his overbearing manner; the way he always insisted on being right, flatly stating his opinions in a loud and abusive tone without paying any attention to what the other fellow was saying.” Does this also describe the Brits in other sections of the world? 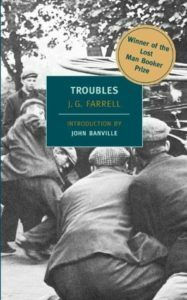 Editor’s Note: ‘Troubles’ by J. G. Farrell is published by Weidenfeld & Nicolson, London 1970. HADDAM – On Tuesday, Sept. 27, State Representative Robert Siegrist (R-36) met with Joe Comerford the Executive Director of 9 Town Transit and Haddam First Selectwoman at Haddam Town Hall regarding the 9-Town Transit, which is the local bus service that provides dial-a ride service for many residents and especially seniors within the 36th District. Rep. Siegrist met with Comerford and Milardo to discuss their efforts to expand 9-Town Transit over the last five years. Namely, to create a continuous loop from Middlesex Community College, down Rte. 154 with a stop in Higganum, a stop at Haddam Killingworth High School and then down Rte. 81 all the way to Clinton. This loop is intended to assist students who take classes at Middlesex Community College, employees who work at local schools and the Outlets and residents in general. “I was happy to meet with 9 Town Transit Executive Director Joe Comerford and Haddam First Selectwoman Lizz Milardo to learn more about this local bus service and their upcoming developments. This new 9 Town Transit loop would be a great addition to our district. This addition would also do great things for the local economy and our residents. I look forward to seeing how this project advances,” said State Representative Robert Siegrist. For more information visit: http://estuarytransit.org/. For more information regarding Dial-A-Ride visit: http://estuarytransit.org/schedules-services/general-public-dial-a-ride/. “Historic Houses: An Architect’s View Inside and Out” is the subject of a lecture Sept. 22, at Essex Library. 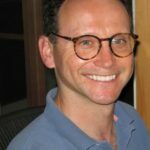 ESSEX — The 10th season of the Essex Library’s Centerbrook Architects Lecture Series kicks off Friday, Sept. 22, at 7 p.m. with Rhode Island School of Design Professor and Architect Jim Barnes. Barnes lives with his wife in a Queen Anne period home in the Elmwood Historic District of Providence. His talk, “Historic Houses: An Architect’s View Inside and Out” is a subject dear to his heart and will be held in The Cube at Centerbrook Architects’ offices at 67 Main St. in Centerbrook. Barnes states that our experience of historic houses is most often framed by their exterior appearances. We come to identify and understand historic time periods and changing styles of architecture through building forms, rooflines, materials, and even paint colors. These are the elements of a public realm accessible to all. Exterior patterns can build whole neighborhoods and clearly reflect our culture’s constantly shifting shared values. We know less well interior spatial patterns, the private domestic realm hidden from view. Yet we know the power of interior spatial arrangement to convey cultural values. Room placement, stairway arrangements and fireplaces are among the many tools that architects and builders use to shape and express domestic life. 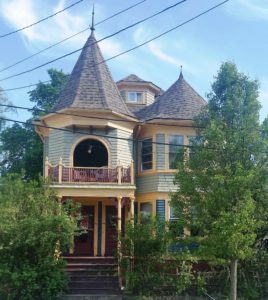 This illustrated talk will address the changing styles of historic houses in an historic Providence neighborhood by comparing the shifting patterns of exterior forms and interior floor plans from the mid-19th century to the beginning of the 20th century. This program is free and open to the public. Call the Essex Library at (860) 767-1560 to register or for more information. Centerbrook Architects is located at 67 Main St. in Centerbrook. AREAWIDE — Music Now Foundation hosts its second annual Sunset Soiree Fundraiser at beautiful Griswold Point in Old Lyme Saturday, Sept. 23, from 4 p.m. Come out to support the initiatives of Music Now, while you enjoy beautiful water views, a great meal, and live musical performances by talented young artists until sunset. 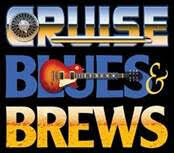 Ticket cost is $50 for adults and includes food, beer, wine and soft drinks. 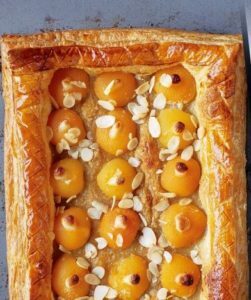 There will also be a vegetarian option offered. Youth ticket cost is $20. The MusicNow Foundation, Inc. is a 501(c)3 charitable organization based in Old Lyme CT. Its mission is to engage, enrich, and inspire young aspiring artists by providing performance opportunities, workshop programming and mentorships thereby nurturing creative and artistic growth and supporting the development of live music in our communities. The Deep River Public Library is hosting a reception to celebrate the photography of Isabella Capezzone on Sunday, Sept. 24, from 3 to 6 p.m.
Capezzone is a 7th grade student at John Winthrop Middle School and has had a fascination with photography from an early age, photographing pets, sunsets, flowers and the beauty she sees in nature. After completing a photography course through Girl Scouts, Capezzone continued her studies by participating in a photography enrichment program at Deep River Elementary School. Light refreshments will be served. Capezzone’s collected works will be on sale and a portion of the proceeds will be donated to the Deep River Food Pantry. No registration is required. All are welcome. From left to right, Alden Murphy and Abigail Nickell stand with Musical Masterworks scholarship winner Giovanna Parnoff at the piano. AREAWIDE — Musical Masterworks and Community Music School are pleased to announce the recipient of the first Musical Masterworks Scholarship in Honor of Nancy D. Thomas. Giovanna Parnoff, already an accomplished pianist and exceptional sixth grade student from Old Lyme, was presented with the scholarship by Alden Murphy, President of Musical Masterworks and Abigail Nickell, Executive Director of Community Music School. “We are so pleased to honor Nancy’s memory with an award to one of her very own students, in partnership with another of her most beloved arts organizations.’ said Nickell. Nancy Thomas was a devoted staff member of Musical Masterworks for nearly 25 years. “It is particularly fortuitous that Giovanna, as a life-long student of Nancy Thomas, is the first winner of this scholarship; we couldn’t be more pleased,” added Murphy. Giovanna has attended The Community Music School since she was six months old. She discovered her love of music through Kindermusik and Kate’s Camp programs and eventually started individual piano instruction under the tutelage of Nancy Thomas at the age of 3. 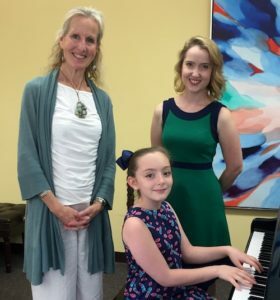 She has received perfect scores at the New London Piano Festival organized by the Middlesex/New London Chapter of the Connecticut State Music Teacher’s Association. Giovanna is a member of Mensa and Intertel, two high IQ societies and was recently inducted into the Junior Mensa Honor Society for her academic performance, leadership skills and volunteerism/community service. Giovanna has been accepted into Duke University’s Talent Identification Program, Stanford University’s Gifted and Talented Program, and Johns Hopkins University Center for Talented Youth. She is a competitive foil fencer, and has been coached for six years by the Fencer’s School of CT.
Giovanna is an award-winning poet, having seen her work published in “The Mensa Bulletin” and “The Young American Poetry Digest.” She lives in Old Lyme with her parents, Dr. John Parnoff and Ms. Monique Heller, and her younger sister, Mattea, who is also a piano student at The Community Music School. The Musical Masterworks Scholarship in Honor of Nancy D. Thomas provides the tuition for a middle school student to take music lessons, 30 minutes each, for one full year at Community Music School. The scholarship will be awarded annually for the next four years. To be eligible, the candidate must be a student of classical voice or instrumental music and reside in Middlesex County or New London County. Community Music School offers innovative music programming for infants through adults, building on a 34-year tradition of providing quality music instruction to residents of shoreline communities. CMS programs cultivate musical ability and creativity, and provide students with a thorough understanding of music so they can enjoy playing and listening for their entire lives. 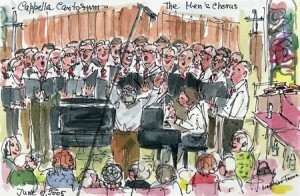 Learn more at www.community-music-school.org or call 860.767.0026. ESSEX — Officers for the Essex Garden Club for 2017-2018 are Barbara Burgess, president, 1st VP Augie Pampel, 2nd VP, MyLan Sarner, Recording Secretary, Betsy Godsman, Corresponding Secretary Phyllis Graf, Treasurer , Patricia Mather and Assistant Treasurer is Barbara Muhlfelder. In her opening remarks at the September meeting, Burgess said that the focus of the Essex Garden Club this year will be on enhancing each member’s floral design skills. These design principles will be applied when the Garden Club decorates the town’s window boxes and planters for the holidays. Deep River Historical Society presents an exhibition titled Native American Harvest at the Stone House, 245 Main St. Deep River. DEEP RIVER — In conjunction with Deep River Family Day activities on Saturday, Sept. 16, the Deep River Historical Society (DRHS) will present an exhibition at the Stone House, 245 Main St. Deep River. This is a guided exhibition titled Native American Harvest and will be available for viewing from 9 a.m. to 2 p.m. and again on Sunday, Sept. 17, 2017 from 2 to 4 p.m. during the regular open hours of the Stone House. 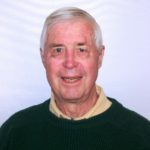 Richard Kalapos, trustee of DRHS and town historian, will be discussing the relationship that the Native Americans had with their environment and how the forest, waterways and sea provided them with all their wants. Through their relationship with nature, they felt as one with their surroundings. The forest was, in today’s terms, their grocery store, hardware store and pharmacy. This is a multi-generational program so drop by and bring the whole family to explore the heritage of our first Americans. 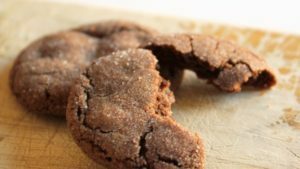 Come and learn about the unique relationship they had with their world and find out about the foods that nourished them. For further information contact, Richard Kalapas at (860)-526-3254 or Sue Wisner at (860) 526-9103. AREAWIDE — Late registration for Cappella Cantorum’s 2017 Christmas concert is Sept. 18, at 7 p.m. at John Winthrop Middle School, 1 Winthrop Rd., Deep River. No auditions are required. Use the rear entrance. Registration fee is $40; music is $20. 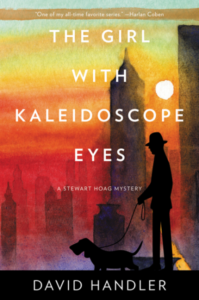 ESSEX — On Saturday, Sept. 16, at 4 p.m. the Essex Library will host Edgar and American Mystery Award-winning author David Handler, who will discuss his latest book, The Girl With Kaleidoscope Eyes, published in August by William Morrow. Handler has also written eleven novels in the bestselling Berger & Mitry series. He lives in a 230-year-old carriage house in Old Lyme, Conn. This event is free and open to the public. Call the Essex Library to register or for more information at (860) 767-1560. The Essex Library is located at 33 West Ave. in Essex. Tree swallows gather on branches. Photo (inset) by Diana Atwood Johnson. AREAWIDE — The Old Saybrook Land Trust (OSLT) hosts a tree swallow watching cruise Sept. 15, from 5 to 8 p.m. on the vessel Adventure located at Eagle Landing State Park in Haddam. The cruise will be run by Connecticut River Expeditions. For the past 14 years, Connecticut River Expeditions have taken individuals and groups to a special spot on the Connecticut River where hundreds of thousands of tree swallows gather. 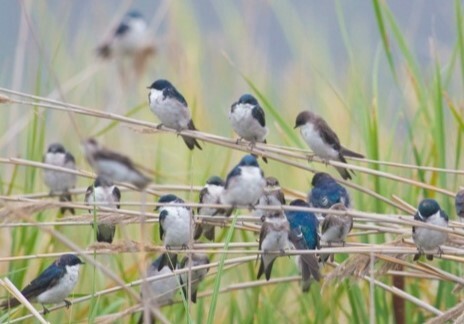 After spending the day miles away, the swallows return each night to sleep in the reeds. They gather at sunset and perform aerial ballets forming an amazing display of art, coordination and cooperation. Over the years, Captains Mark and Alex have found the best way to maneuver the boats to allow perfect views from open decks. Travel on Adventure, a newly refurbished classic riverboat with flexible seating that ensures everyone gets optimal “up close and personal” viewing. Enjoy the entire evening aboard. You will spend about three to five hours on the water. There is so much to see while cruising along the river. Many birds are migrating through the area now; last year we saw a record number of Bald Eagles and Great Egrets. On-board naturalist(s) will educate you on the swallow phenomenon and all the other wildlife we see. On the return cruise home, there is time to chat with others and experience the river at twilight, blending into night. The OSLT will be serving appetizers and you are able to bring your own picnic basket or snacks and your favorite “beverage” to enjoy on this special cruise. Don’t forget your camera and binoculars (or borrow a pair of our binocs)! This is a small group experience that is unique each sailing. This is a fundraising event to benefit the OSLT Scholarship, which is awarded each year to a graduating Old Saybrook student pursuing Environmental Studies. 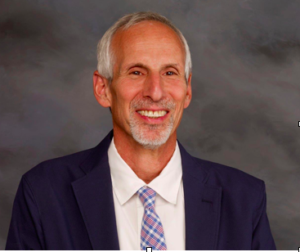 Essex Democrats have again endorsed incumbent First Selectman Norman Needleman as their candidate for the same position in November. ESSEX — Rejecting divisive politics and continuing a bi-partisan approach to solving problems is the cornerstone of the platform announced today in a press release by First Selectman Norm Needleman and Brian Cournoyer, Chairman of The Essex Democratic Town Committee. “Towns throughout the state look to Essex as a model for best management practices. Under Norm’s and Stacia Rice-Libby’s leadership over the past six years, taxes are among the lowest in the state, yet we deliver high quality services and excellent schools,” Cournoyer said. Needleman said that the collaborative, non-partisan approach to government will continue if he and running mate Stacia Rice-Libby are re-elected. “First, and perhaps most important, we reject toxic partisan politics. Instead, we value and encourage independent thinking and inclusive dialogue that lead to real-world solutions,” Needleman said. Libby added focusing on economic growth is another important area of focus. “An essential element is support for the business community. Essex is home to over 700 businesses, and that number is growing. We have reduced regulations and simplified processes in the past six years, and it is essential that we sustain our policy of eliminating barriers to success,” Libby said, adding that streamlining and optimizing land use regulations will be critical for retaining and attracting local companies. Needleman said if re-elected he will continue to fight the proliferation of unfunded state mandates. “Your vote for our bipartisan slate of candidates on November 7 is vital to keeping Essex moving in the right direction,” Cournoyer said. 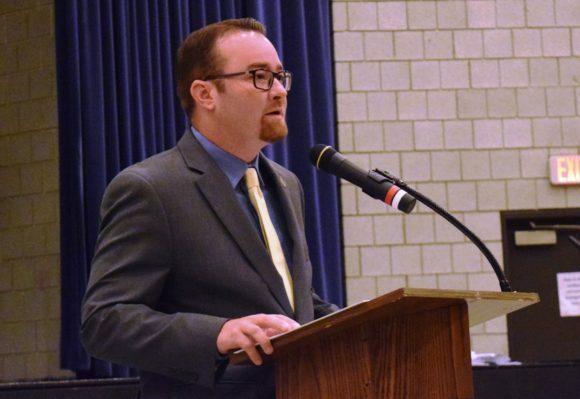 Democratic Town Committee Chairman Brian Cournoyer invites all Essex voters to learn more about the candidates by visiting the Essex Democratic Town Committee website/Facebook page at: essexdems.com. The candidates will also be available to discuss issues and ideas at neighborhood meet-and-greet gatherings throughout the campaign. The Estuary Council of Seniors at 220 Main St Old Saybrook is offering a trip on Sunday, Sept. 17, to New York’s Botanical Gardens at a cost of $115 per person. For more information, stop by the Estuary Council at 220 Main St., Old Saybrook for a flyer or call 860-388-1611 ext.204. CHESTER — Chester Village West, an independent senior living community, continues its Lifelong Learning Program with six free-and-open-to-the-public lectures in September, October and November. The program, in its fourth season, is in partnership with the Wesleyan Institute for Lifelong Learning and Middlesex Hospital. A Q&A and reception with light refreshments will be held after each program. Registration is required. To register for one or more programs, call 860.322.6455, email ChesterVillageWest@LCSnet.com or visit https://www.chestervillagewestlcs.com/lifestyle/calendar-of-events/. Chester Village West is located at 317 W. Main St., Chester, CT 06412. Monday, Nov. 13, 4 p.m.
Wellbeing has recently moved to center state of psychologists’ field of attention. This is in part a reaction to the traditional focus of psychology on problems of human suffering. But research on this topic has turned up some fascinating contradictions. Pleasure and pain do not accumulate in the same way, revealing a curious asymmetry in our emotional lives. Paradoxes of wellbeing are conspicuous, not the least of which is the observation that older people manifest an unexpected level of satisfaction with their lives. Editor’s Note: Located in historic Chester, Connecticut, Chester Village West gives independent-minded people a new way to experience retirement and live their lives to the fullest. Since the independent seniors community was founded more than 25 years ago, Chester Village West residents have directed and embraced active learning. Within a small community of private residences that offer convenience, companionship, service and security, Chester Village West enriches lives with a comprehensive program that enhances fitness, nutrition, active life, health and well-being. Find out more at chestervillagewestlcs.com; visit the community on Facebook at https://www.facebook.com/ChesterVillageWest. 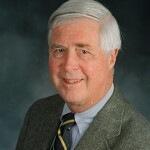 AREAWIDE — Continuing the philanthropic tradition of its founder, Clarence S. Wadsworth, the Rockfall Foundation invites non-profit organizations, municipalities, and schools in the Lower Connecticut River Valley to apply for grants through the annual Competitive Grant Program. 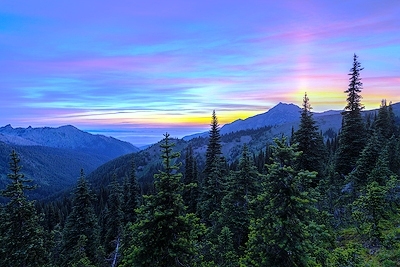 The Foundation seeks to support projects that preserve and enhance the environment and to increase public knowledge of and respect for natural resources. Projects that demonstrate new and imaginative ways to achieve this are encouraged. Applications are due by Nov. 9 and can be downloaded from www.rockfallfoundation.org. For detailed eligibility criteria or additional information, call 860-347-0340 or visit www.rockfallfoundation.org. Founded in 1935 by Middletown philanthropist Clarence S. Wadsworth, the Rockfall Foundation is one of Connecticut’s oldest environmental organizations. The Foundation supports environmental education, conservation and planning initiatives in the Lower Connecticut River Valley through public programs and grants. In addition, the Rockfall Foundation operates the historic deKoven House Community Center that offers meeting rooms and office space for non-profit organizations. Anselmo Delia is the Republican party endorsed candidate for Judge of Probate in the 33rd District. AREAWIDE — Registered Republicans in Chester, Deep River, Essex, and Old Saybrook are eligible to vote tomorrow, Tuesday, Sept. 12, in a primary election to determine the party’s candidate for 33rd District Probate Judge in the November election. Kevin J. Hecht of Old Saybrook is challenging the party-endorsed candidate, Anselmo Delia, of Clinton. In addition to the towns listed above, the 33rd District Probate Court, which is located in Old Saybrook, covers Clinton, Haddam, Killingworth, Lyme, and Westbrook. There is no Democratic Primary since party-endorsed candidate Jeannine Lewis is not being challenged. 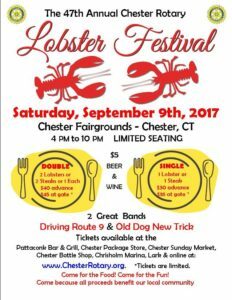 CHESTER — Join the Rotary Club of Chester’s 47th Annual Lobster Festival to be held at the Chester Fairgrounds on Saturday, Sept. 9. 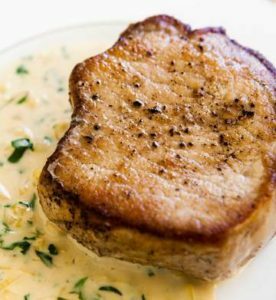 The event is highlighted by classic double entree dinners featuring Twin Lobster, Twin Steak, or Surf and Turf and single entrée Lobster or Steak dinners. Traditional sides include corn on the cob, potatoes and coleslaw. The gates will open at 4 p.m. for table decorating and general admission. Dinners will be served from 5 p.m. and continue until 7 p.m. Soft drinks, bottled water, beer and wine are available for sale throughout the evening. Live music for your dancing and listening pleasure will be provided by two great bands, Driving Route 9 and Old Dog New Trick until closing at 10 p.m. Admission tickets for twin lobster or twin steak or surf and turf dinners are $40 in advance, $45 for remaining tickets at the gate. Single lobster or single steak dinner tickets are $30 in advance, $35 for remaining tickets at the gate. Seating is limited, so early purchase is recommended. 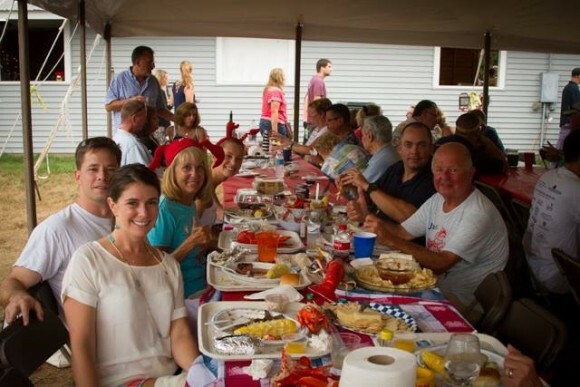 Access to the Lobster Festival is restricted to dinner ticket holders. Tickets are available at the following Chester locations: LARK, Pattaconk Bar & Grill, Chester Package Store, Chrisholm Marina, Chester Bottle Shop and at the Sunday Market as well as on-line at http://www.ChesterRotary.org. Proceeds from this event will be used to benefit the community. Join friends and family for a memorable evening of great food, good fun and live music! Keynote speaker, Russell Shorto, will talk about “Venture Smith and American Freedom” at the 21st annual Venture Smith Day on Saturday, Sept. 9, from 1 to 4 pm in the cemetery at the First Church of Christ, 499 Town St. (Rte. 151), in East Haddam. EAST HADDAM, CT – The 21st annual Venture Smith Day Festivities will be held on Saturday, Sept. 9, from 1 to 4 p.m. in the cemetery at the First Church of Christ, 499 Town Street (Rte. 151), East Haddam, Conn.where he is buried (1729-1805). Son of an African king, Venture Smith became the first black man to document his capture from Africa and life as an American slave and successful black freeman in Connecticut. Well-known and respected, Venture Smith spent the majority of his freedom years in East Haddam and Haddam Neck, Conn. His grave is one of the original sites on the Connecticut Freedom Trail. Keynote speaker, Russell Shorto, author of the best seller “The Island at the Center of the World,” about the Dutch founding of Manhattan, will talk about “Venture Smith and American Freedom.” His newest book, “Revolution Song: A Story of American Freedom,” which weaves together the lives of Venture Smith, George Washington and four other early Americans, will be released Nov. 7. Shorto believes the revolutionary period, through which Venture Smith lived, is more relevant now than ever. Shorto has won numerous awards for his writing, and his books have been published in 14 languages. Dr. Karl P. Stofko, East Haddam’s Municipal Historian and Venture Smith family genealogist since the 1970s, will talk about “Charles Holt, the Forgotten Publisher of Venture Smith’s 1998 Narrative.” Venture Smith’s family genealogy and artifacts and crafts from Ghana and other regions of Africa will be on display. A town proclamation will be presented and wreath-laying ceremony by the descendants of Venture Smith and the annual Venture family reunion photograph will take place in the cemetery by Venture’s grave. The ladies of “Sisters In Stitches Joined by the Cloth” of eastern Massachusetts will return this year with their magnificent African American quilts on display. The recent discovery of the Starks family, descendants of Venture’s granddaughter Cynthia Smith Matson, was added to Venture Smith’s family genealogy and will be on display. In addition, a restored original copy Venture Smith’s 1798 narrative will be on exhibit at the event. A facsimile of this booklet will be on sale for $5. Adults and children who are interested in learning more about Connecticut history in the 1700 and 1800s are encouraged to attend. Bring lawn chairs or blanket. In case of inclement weather the celebration will move into the parish house of First Church. There will be plenty of time to renew old friendships, talk with speakers, and Venture’s descendants and enjoy light refreshments in the Parish Hall next to the cemetery. Born around 1729, Venture Smith’s African birth name was Broteer, and he was the eldest son of King Saungm Furro of the tribe of Dukandarra in Guinea, West Africa. He was captured about 1736 when he was seven years old and was sold for “4 gallons of rum and some calico” at Anamabo on Africa’s Gold Coast to Robinson Mumford, the steward of a Rhode Island slave ship. Broteer was renamed Venture because he was purchased by Mumford’s own private venture. Venture grew up as a slave on Fishers Island, New York, which was being leased by the Mumford family at that time. Around 1750 he married Meg, another Mumford slave, and they had four children. After a failed escape attempt in 1754, Venture was sold to Thomas Stanton of Stonington Point, Connecticut. In 1760, he was purchased for the last time by Oliver Smith, of Stonington. Smith allowed Venture to purchase his freedom in 1765 and in return Venture took the name Smith as his surname. Venture then lived and worked on Long Island to raise money to purchase the freedom of his wife and children. 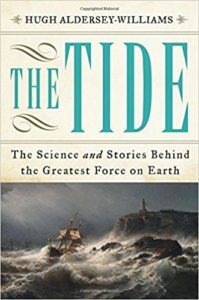 During these years he cut wood, farmed, fished, and spent seven months on a whaling voyage. In 1774, Venture sold all his land on Long Island and in Stonington and moved his family to East Haddam. He then began purchasing land on Haddam Neck along the Salmon River Cove from Abel Bingham and others. His farm grew into 134 acres with three houses; twenty boats, canoes and sailing vessels; two fishing businesses and a commercial orchard. His entrepreneurial ventures included river trafficking, lumberjacking, carpentry and farming. All this he accomplished without the ability to either read or write. In 1798, Venture dictated his autobiography to teacher Elisha Niles, which was then published in pamphlet form by Charles Holt, editor of the New London Bee weekly newspaper. It has been reprinted many times. It is the only slave narrative of the 18th century that recounts life in Africa. His life story has been an inspiration to many over the years. Venture died on September 19, 1805, at age 77 as a highly respected man by all in the Haddams. His wife, two sons, Cuff and Solomon, and several grandchildren survived him. Several of his descendants still live in Connecticut. AREAWIDE — The Connecticut River Museum is looking for a variety of volunteer actors to help with the 2017 production of Haunted River. Auditions will take place on Sept. 6 and 11 between 4:45 and 6:15 p.m. Available parts are for adults and children (ages 10 and up). Roles include actors for seven-minute scenes, theatrical tour guides, and musicians. No prior acting experience is necessary. Rehearsals will be held on Wednesday nights and run from Sept. 20 through Oct. 18 with a dress rehearsal on Oct. 25 and evening performances on Oct. 27, 28, and 29 from 5 to 9:30 p.m.
Also needed is production crew. Positions include stage crew, prop and scene fabricators, and costumers. For more information and to arrange an audition, call the Connecticut River Museum at 860-767-8269 x122 or send an email to kperkins@ctrivermuseum.org. 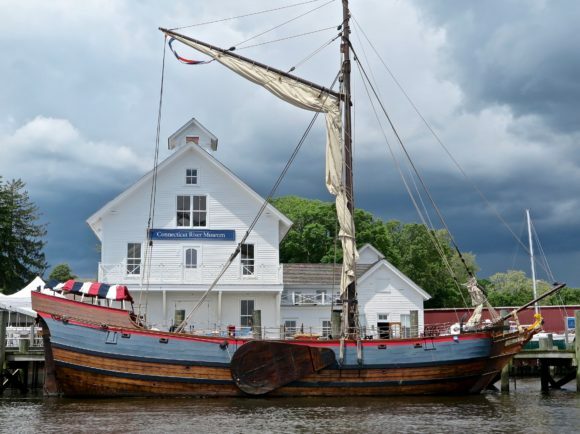 The Connecticut River Museum is located in Essex, Conn., and is the only museum dedicated to the study, preservation and celebration of the cultural and natural heritage of the Connecticut River and its Valley. 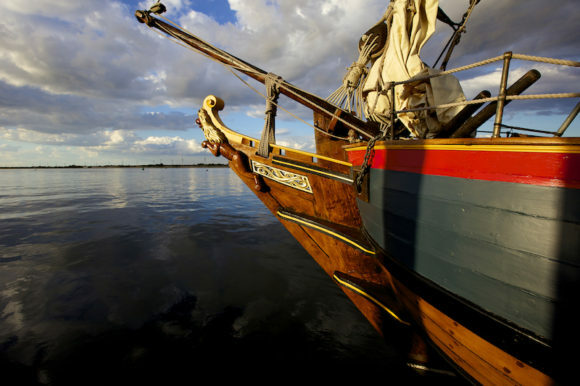 The recreation of Adriaen Block’s ONRUST, the first vessel to explore and chart Long Island Sound and the Connecticut River, is on display and available for cruises through Oct. 14. The Museum is located at 67 Main St., Essex and open seven days per week, 10 a.m. to 5 p.m. until Columbus Day. After Columbus Day the Museum is closed on Mondays. Visit online at www.ctrivermuseum.org. TRI-TOWN — Tri-Town Youth Services will offer the American Heart Association’s Pediatric First Aid and CPR course along with a babysitter training certificate program. This course is for youth ages 11-17. The $75 fee includes instruction, books, and certificate. The fall session will be held at Tri-Town Youth Services, 56 High St., Deep River on Monday evenings, Nov. 6, 13, 20 and 27 from 6 to 8 p.m. Register online (www.tritownys.org) or by calling 860-526-3600. AREAWIDE — The Rockfall Foundation is seeking nominations for the 2017 Environmental Awards, which recognize individuals, organizations, and businesses for environmental efforts that contribute to the quality of life in the Lower Connecticut River Valley. Two categories of awards include the Distinguished Service Award and Certificates of Appreciation in the areas of preservation, conservation, restoration, or environmental education. Awardees are recognized at the Rockfall Foundation’s annual meeting and grants celebration in November. Nominations must be submitted by Sept. 15, 2017 and a form can be downloaded at www.rockfallfoundation.org or one can be requested by calling 860-347-0340. 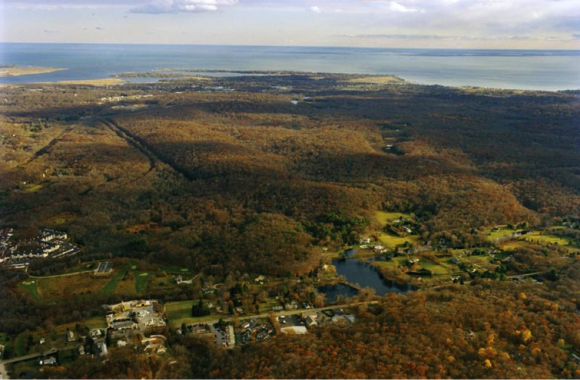 Founded in 1935 by Middletown philanthropist Clarence S. Wadsworth, the Rockfall Foundation is one of Connecticut’s oldest environmental organizations. 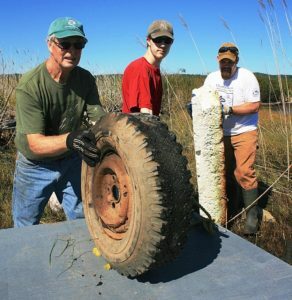 The Foundation supports environmental education, conservation and planning initiatives in the Lower Connecticut River Valley through public programs and grants. 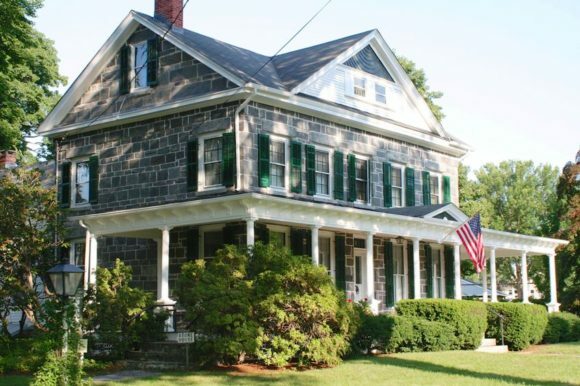 In addition, the Rockfall Foundation operates the historic deKoven House Community Center that offers meeting rooms and office space for non-profit organizations. For additional information about the 2017 Environmental Awards or the Rockfall Foundation, visit www.rockfallfoundation.org or call 860-347-0340. ESSEX — Community Music School (CMS) is pleased to welcome three area musicians to its faculty: Amy Buckley, who will be teaching voice; Ling-Fei Kang, who will be teaching oboe and English horn; and Corey Johnson, who will be teaching violin and viola. Amy received her Bachelor of Music from the University of Connecticut, where her study afforded her the opportunity to train at the Guildhall School of Music and Drama in London. She then went on to receive a Master of Music from The Juilliard School. This season Amy made her debut as Music Director at the Ivoryton Playhouse in The Hundred Dresses and starred in The Music Man as Marian Paroo with Artful Living. Credits include Cecile (The Hundred Dresses /Ivoryton Playhouse), Antonia (Man of La Mancha/Ivoryton Playhouse), Mrs. Banks (Mary Poppins/Artful Living), Sandy (I’ll Be Home for Christmas/Ivoryton Playhouse), Coach/Ms. Roosevelt (The Bully/Ivoryton Playhouse), Despina (Così fan Tutte/Pocket Opera of NY), La Fée (Cendrillon/Aspen Opera Theater), Euridice (Orfeo/Wintergreen Performing Arts Festival) and Adele (Die Fledermaus /Lincoln Center). When not performing, Amy serves as Music Director of the theater program at Walsh Intermediate School in Branford and Vocal Music Leader at Shoreline Unitarian Universalist Society in Madison. Amy is a member of NATS (National Association of Teachers of Singing). A native of Taiwan, oboist Ling-Fei Kang has performed as chamber musician and soloist nationally and internationally, including recitals with Oboe Duo Agosto at the conferences of the Asian Double Reed Association in Bangkok, Thailand, and the International Double Reed Society in Redlands, California and Tokyo, Japan. She served as Professor of Oboe at the Festival Eleazar de Carvalho in Fortaleza, Brazil and taught master class at University of Southern Mississippi, Univeristy of South Alabama, Georgia State University and University of Alabama. She is also an experienced educator and teaches oboe at The Loomis Chaffee School, Miss Porter School, Renbrook School and Simsbury High School in Connecticut. Ms. Kang graduated with the Prix avec grande distinction from the Conservatoire de musique de Montréal and also earned an Artist Diploma from The Hartt School, University of Hartford. Her principal teachers include Humbert Lucarelli and Bernard Jean. Corey has been playing violin since 2003 and teaching since 2013. She is classically trained and has studied with the Hartford Symphony’s Jaroslaw Lis, who received a master’s degree from the Yale School of Music. Corey has extensive experience playing in ensembles, namely the quartet setting. She graduated from the University of Connecticut in 2017. 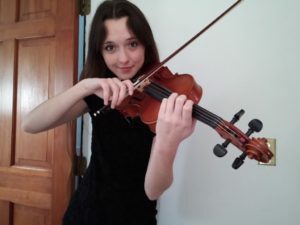 Corey aims to make her lessons as fun as possible while still focusing on the core technical aspects of violin playing. She has advanced piano skills and sometimes accompanies her students in lessons. She loves to find or arrange music that her students enjoy playing.